Steven Proscia belted 3 home runs in last night’s 7-3 win. 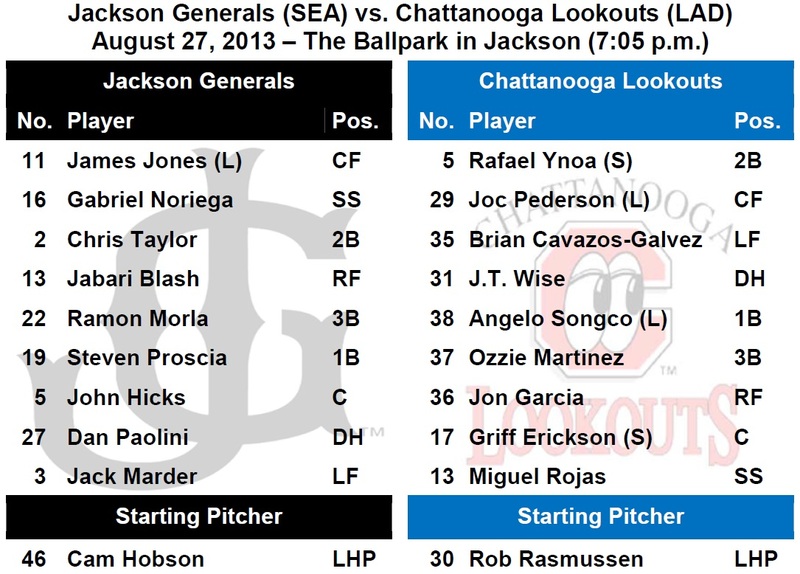 TODAY’S GAME: the Generals wrap up their final homestand of the season tonight with the rubber match of a 5-game series with the Chattanooga Lookouts (2-2)…this season Jackson is 10-9 against the Lookouts and 4-5 at The Ballpark in Jackson…the Generals will wrap up the season with a 5-game series at Huntsville starting on Thursday. 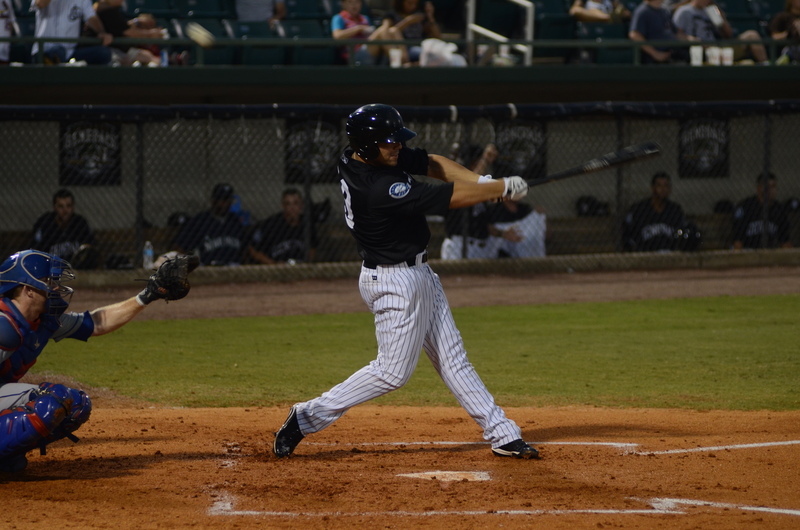 GENERALS RECAP: Jackson powered their way by the Chattanooga Lookouts, 7-3 Monday night thanks to 4 home runs and three of them coming from 1B Steven Prosica. It was the first 3-homer performance since Carlos Peguero had three home runs against Mobile on April 28, 2010. Jackson out-hit Chattanooga for the 4th straight night, 8-7 as DH Jabari Blash added a 3-run shot in the 8th. RH Trevor Miller (W, 3-1, 4.01) pitched through the 7th due in large part to only walking one Lookouts batter. • TAYLOR’S HOT AUGUST CONTINUES: INF Chris Taylor is batting .346 (36×104) with 20 runs scored, 4 doubles, 1 triple, 7 RBI, 13 walks and 9 stolen bases in 27 games in August.